To adopt modern data warehousing, advanced big data analytics, and machine learning solutions in the Azure Cloud, businesses need streaming integration to Azure. They need to be able to continuously feed real-time operational data from existing on-premises and cloud-based data stores and data warehouses. 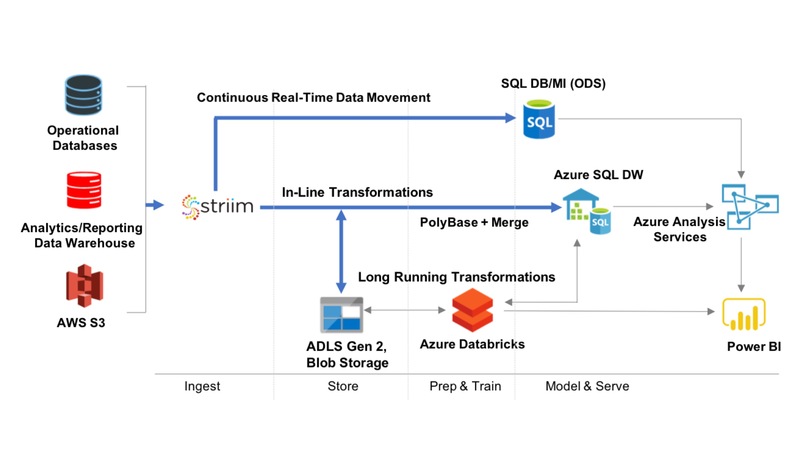 The Striim software platform offers continuous, real-time data movement from heterogeneous, on-premises systems and AWS into Azure with in-flight transformations and built-in delivery validation to make data immediately available in Azure, in the desired format. 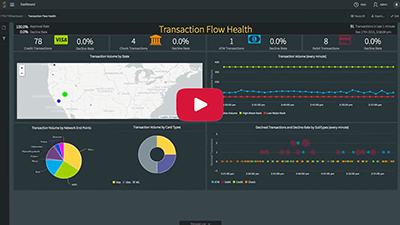 As an enterprise-grade platform with built-in high-availability, scalability, and reliability, Striim is designed to deliver tangible ROI with low TCO to meet the real-time requirements for streaming integration to Azure in mission-critical environments. 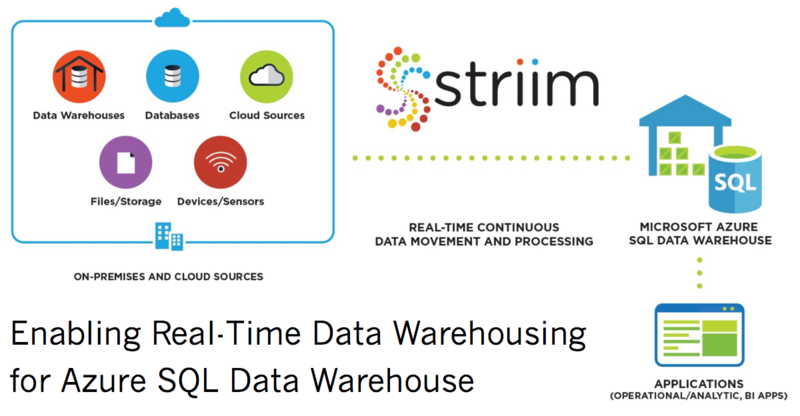 With a broad set of supported sources, Striim enables you to make virtually any data available on Azure in real time and the desired format to support next-generation cloud analytics and operational decision making on a continuous basis. 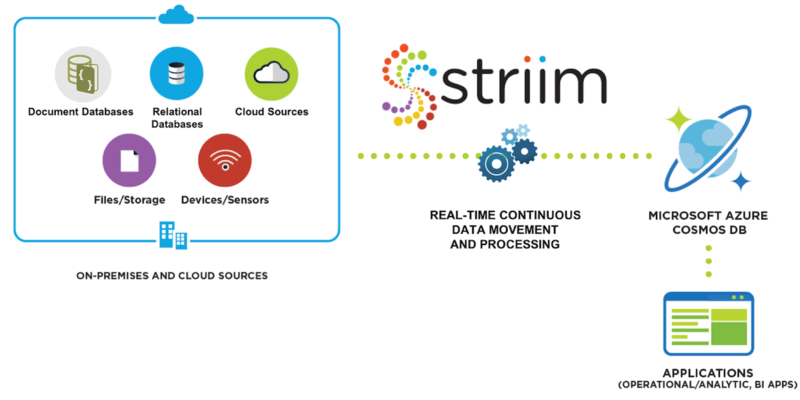 To learn more about how to use Striim for streaming integration to Azure, check out our Striim for Azure product page, schedule a short demo with a Striim technologist, or download a free trial of the Striim platform and get started today.